May was a bit of a quieter month for Aslan and myself. I have been very busy studying and getting ready for my mock exams at the start of next month. 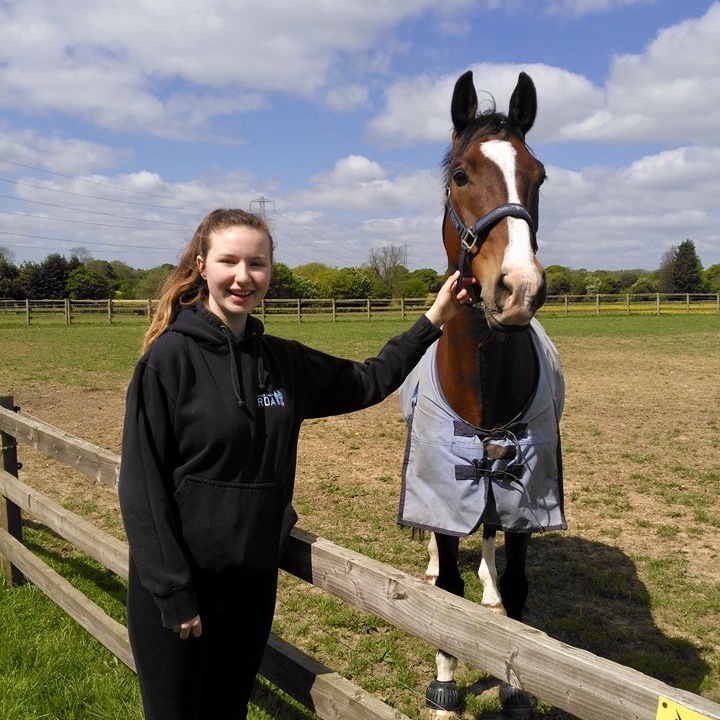 I am in year 11 at school this year, so am having to concentrate for a while on revision for my mock GCSE’s as I am planning to go to veterinary school after A levels and that will not be easy to achieve, but I am determined to succeed. It is also an important anniversary this month because it’s now a whole year since Aslan joined the team and I can’t believe how fast the time has flown! 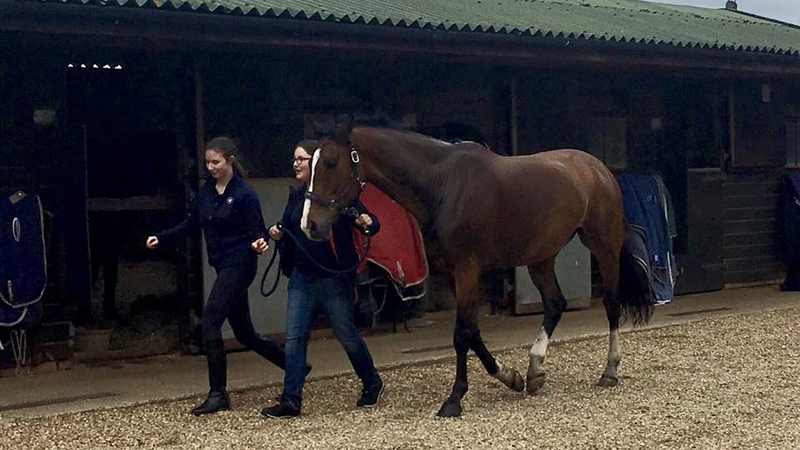 As a para-equestrian finding the right horse is not easy. There are a lot of factors to consider and we were fortunate to find Aslan after a winter of looking and travelling around the country trying different options. It hasn’t all been school work this month though as I have kept up my training programme with Aslan, just scaled back a little bit to allow time to focus on my revision too. 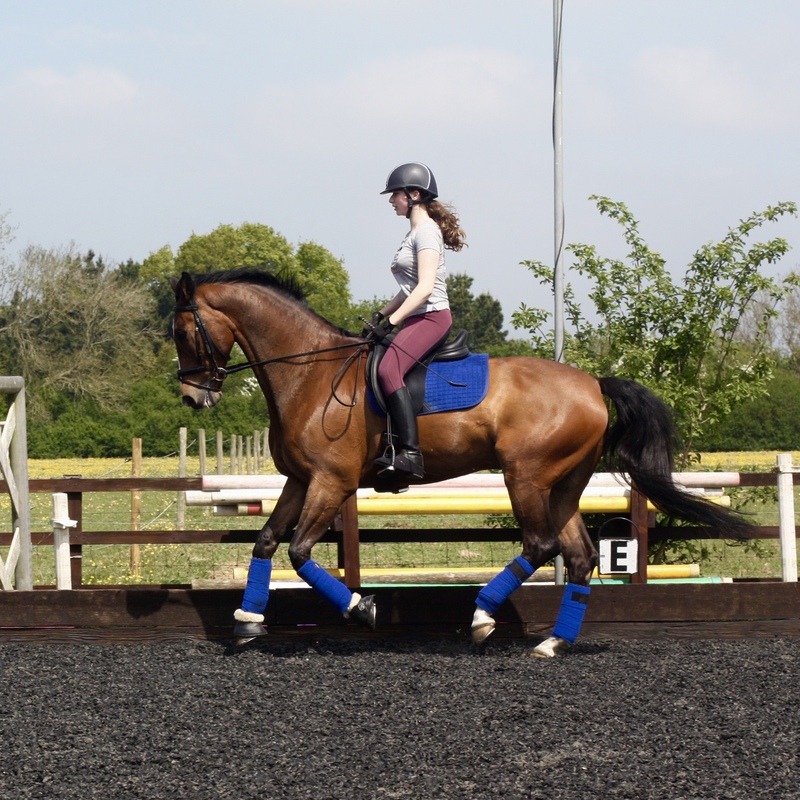 My ambition to be a vet as well as a competitive international para equestrian means I don’t have much spare time. For most teenagers, Friday means a time relax and a time to hang out with friends. For me it means heading to the gym straight from school for a personal conditioning session with my trainer Iain, and then on to volunteer for a couple of hours at Wendover Heights Veterinary Centre to gain valuable experience and knowledge. I really love it, everyone there is really kind and supportive and I’m really lucky to be able to have the opportunity. I take my conditioning sessions seriously and I am fortunate to have the support of Fitness4Less in Chesham, who sponsor me by providing personal training sessions every week. 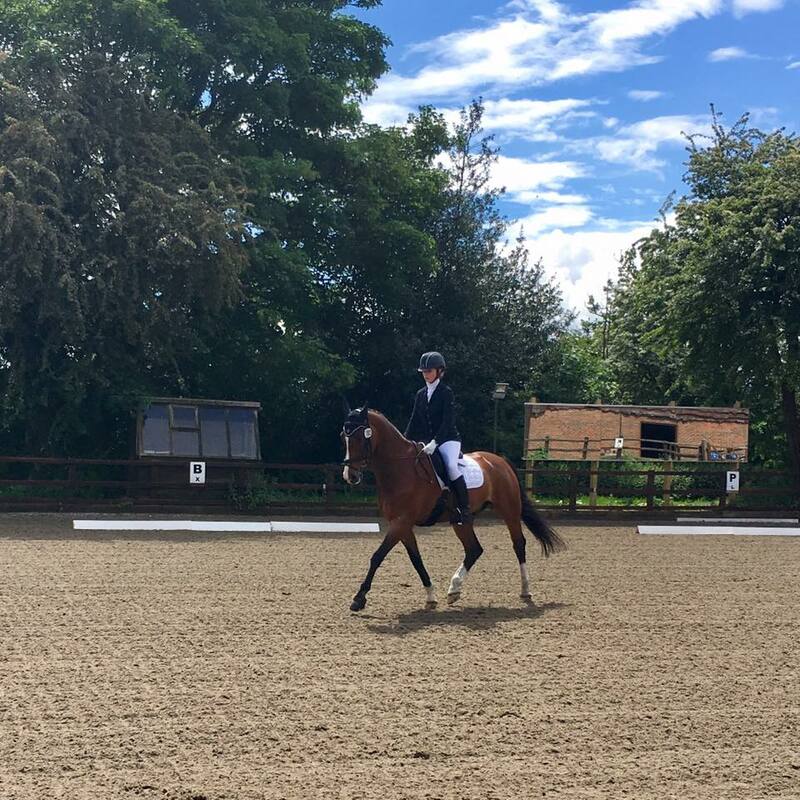 We did get out to compete a Summer Qualifier at Windmill Farm Dressage & Livery this month to add to my qualifying scores. It was a really hot and humid day, we got really wet in warm up and it was a bit of a steamy day. I rode the Novice A as a warm up to the Team Test which we have been focussed on in training this month. This is the Silver combination of tests that I hope to be selected to ride at my first International at Bishop Burton in July, and again at the Solihull Para Festival in August. The sun was out at Windmill after some pretty horrible showers in warm up, which went really well regardless, but we weren’t quite as forward and connected as we needed to be in the tests, so an ok 67.75% in the Novice A but a disappointing 63.25% in the Team and room for improvement next time around out. As ever the judge loved Aslan and was very complimentary of his paces, and as I said on Facebook at the time… just need to sort out the rider!!! Just after Windmill I was so exited to hit the milestone of 1000 Likes on my Facebook page @IlseDressage. I could not have imagined when we launched the page ten months ago at the end of July last year that we would get get so much support which I am so so grateful for. I post photos, videos and updates of me and Aslan more regularly there, it’s a great way to stay in touch and I love to share what we are up to together and I love all the Likes and Comments we get back. If you are on Facebook and haven’t found there yet us you can do so at https://www.facebook.com/IlseDressage/ or just search Ilse Dressage. We are also on Twitter and YouTube too, but all of our updates are usually always on Facebook first. As the month wound down there was chance to catch my breath over half term, spend a bit more time on the yard with Aslan and also take a trip to South Wales to catch up with my family over the bank holiday, including a surprise BBQ party to celebrate my sisters thirteenth birthday… she’s not that horsey but I even had her help out on the yard this month which was great! That’s it for May, please subscribe to my blog if you’ve enjoyed reading this and like catching up every month and please do come back next month anyway to find out what happened in June when I will be competing again, please please #joinmyjourney in any way you can, every bit of support counts!